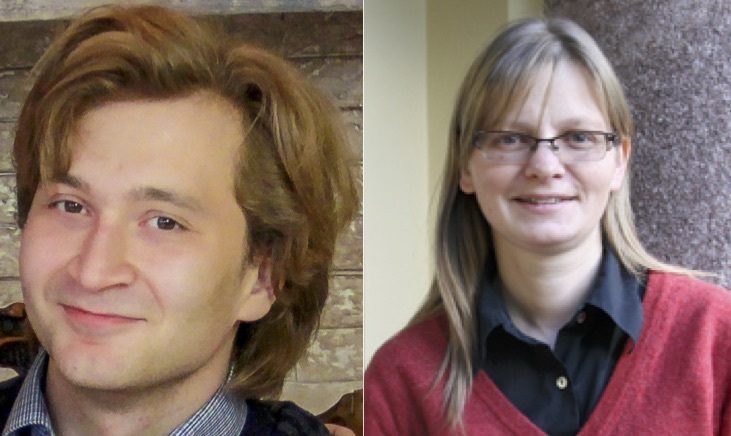 A Clay Research Award is made jointly to Aleksandr Logunov (Tel Aviv University and Chebyshev Laboratory, St Petersburg State University) and Eugenia Malinnikova (NTNU) in recognition of their introduction of a novel geometric combinatorial method to study doubling properties of solutions to elliptic eigenvalue problems. The award will be presented at the 2017 Clay Research Conference. This has led to the solution of long-standing problems in spectral geometry, for instance the optimal lower bound on the measure of the nodal set of an eigenfunction of the Laplace-Beltrami operator in a compact smooth manifold (Yau and Nadirashvili's conjectures).